We have heard that the midterm’s for any incumbent are a time they take a beat down in the polls, we have been reminded this from the press day after day, they gleefully look to what they will be able to accomplish if they do take control of both houses, primarily getting an impeachment of Trump to push forward, but are they getting ahead of themselves? They have counted a victory in the midterm, one that has not even been voted on yet, and the polling is showing this is going to end up the opposite of what they expect. One of the things people look at to see how a midterm election is going is the approval rating on the sitting president, in that the left should be really worried, Trump in the latest Rasmussen polls is actually polling 5% better then Obama was doing at this time. However, the great news does not stop here if we look at past elections we see why the incumbent party lost as they did. To start this, we don’t need to go too far back, just to Clinton in the 1994 midterm election, how in response to moving the nation further to the left then what was promised, Hillary as the first lady was trying to move to push universal health care, the economy was not doing great at the time, the American people saw what the Clinton administration had done as a betrayal of what was promised, when the first-term mid-term elections come up, we saw a historic defeat go down. The Democrats, who had run the house for all but four years of the proceeding 62 years, took a beating of epic proportions in that midterm election, even the Speaker of the House, Tom Foley, the most powerful man beside the president, lost his election bid, the GOP under Newt Gingrich lost only four seats, that were just four GOP members that were retiring, there was not one loss of a seat to an incumbent GOP member who was running. This slacking the DNC received became known as the Republican Revolution, the GOP rode into power with a 54 seat swing. We saw with Clinton, who if nothing else, was a political animal not seen in years, he was not afraid to change direction, quickly started to turn his administration more to the center veering away from the left, he ended up even with scandals winning the election in 1996. Some may ask why that was? The answer was simple, the House which was now run by the GOP actually had some backbone, told Clinton they were willing to work with him, but not compromise, something the GOP seems to have forgotten today, now they live in fear of the left and the media. But there was one more component that had to be taken into account, that would be the economy, which in spite of very volatile quarter to quarter reporting, after taking a beating in 1995, was rebounding nicely with a 2.5% growth, the Americans were happy enough with the direction of things they keep both the Clinton administration in power and the GOP as well. The election of 1996 ended with the reelection of Bill Clinton, the House lost 4 seats to the DNC, but still maintained the majority, the Senate actually gained seats for the GOP. Many of you may wonder why, the answers were simple, we have what we have now. A president who while under attacks from the press, I may add that Clinton did deserve much of the attacks, we see now the difference that the press is more than happy today to make up news to attack when they have nothing real. Clinton had the economy growing in the right direction, the people saw a relationship they liked, one between the president and the two houses. Clinton in spite of scandals won the election, people were thinking more with their wallets then being concerned if Clinton was the moral leader of the nation, the same way it is with Trump. 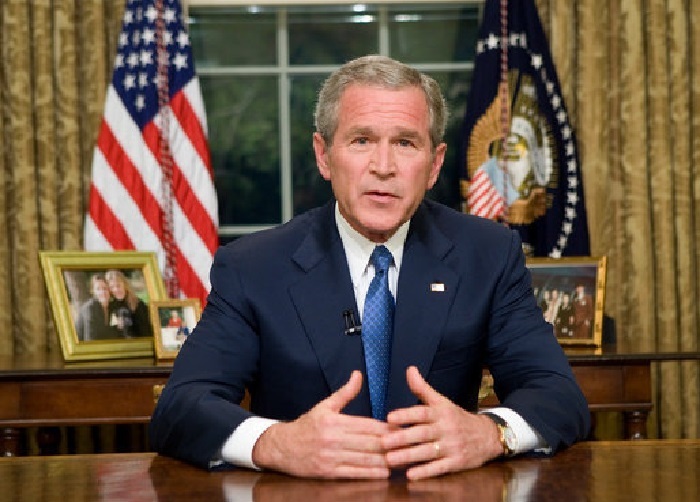 And there is not just Clinton, take a look at President George W. Bush, in his first midterm actually won seats, but this had little to do with the economy, more the direction of the war, the war on terror, people were not willing to make a change. If Bush had run on just the economy, and there was no conflict in his first midterm, I think the election would have turned out very differently. There is also the case of the tech bubble crash, that was during Clinton’s end of his administration, Bush did a good job of explaining to the American people the housing crises was in place due to the push by Clinton and the DNC forcing banks to give our high-risk loans, add the war to this, and the economy was teetering on the brink. We had Obama next, he also faced backlash as he made promises that seemed more center left, but as he took office we saw a switch of his administration head to the far-left, the people reacted in the 2010 midterm election by giving the GOP a 63 seat gain, even larger than they responded to Clinton’s first midterm, sadly the leadership of the GOP, with John Boehner as Speaker of the House was every bit as timid and weak as the current leadership we see in both houses today. Instead of standing up to Obama and demanding the will of the people be honored, he and the leadership in the GOP chose to stand down and give Obama whatever he asked for. In Obama’s second midterm, 2014, the GOP even responded worse with this election, while they made sweeping gains in both the house and the Senate, have yet to give up their majority, we have seen the GOP leadership stick their thumbs up at the American people, then ignore their will. It seems neither the leadership in the House or the Senate cares about what we the American people want with the wall coming up, they choose not to offend the left, so they do nothing and ignore us. They refuse to budge on dealing with illegals, sadly they fall into the race blame game, thinking that if the left and the press yelled loud enough, they may lose their election bids, and being the power behind them, the special interests want to destroy this nation from within by allowing everyone in, they ignore us and do nothing. We are a point that right now we need to sit back and enjoy Trump’s victory that is going to come up this election, but we also need to let people know in the primaries that are still going on, if you are not for Trump, then we aren’t for you, but if given the choice between a mainstream deep state GOP and a Liberal, it is better to pinch your nose and vote for the GOP, and maybe, come next election you will decide to run. Trump is going to come out with a shift in this mid-term elections, there is not only the fact of the economy growing at over 4%, the greatest shocker of all is the approval among African Americans is now at 29% and rising for Trump. They see what he is doing for the Black Community, they are starting to switch allegiances. Thankfully the left hasn’t woken up to this yet, or they simply don’t care, but if this continues to rise, the DNC could find themselves in some very serious trouble and will start to become frantic. So what to expect this midterm? Hold on, the press is going to get more frantic as they start to understand these numbers, they will go full press on trying to paint Trump as a racist who hates blacks, which we all know is far from the truth, they will try to use the scuffling he is having with pampered athletes who have no clue about reality as a means to do this, but they will lose this, the athletes are athletes, we don’t watch them for their political opinions, to be frank, could care less, it is like looking to children for one, you get about as realistic of an opinion from both. I think we are going to come out of this midterm with the left once more looking for answer, I fully expect to see sour faces on CNN, more screams about this being a “Whitelash”, condemnation and outrage from The Young Turks, and the next day Racheal Maddow saying that the liberals are not waking up in hell, this is reality. Trump is going to show once more, the models set up before him don’t apply to him, he is like nothing we have ever seen before. Enjoy the ride folks, there are only 6 more years of this, and as we all know, they go by very fast. NextIs The Liberal Press The Enemy Of The People?